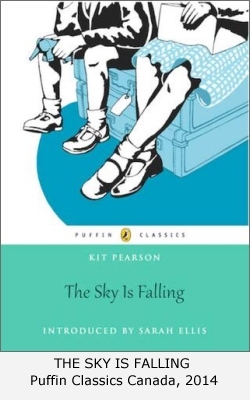 It is the summer of 1940, in the second year of World War II, and all of England fears an invasion by Hitler's army. Ten-year-old Norah Stoakes is worried that her parents might send her and her little brother Gavin to safety overseas. She does not want to go, especially because she and her friends are helping the war effort by watching for German planes. But despite her protests, Norah and Gavin are sent on a ship to Canada. They go to live in Toronto, with a rich woman who seems to prefer Gavin to Norah. Norah is miserable at her new school and terribly homesick. But as Christmas approaches, she begins to make friends and discovers a surprising responsibility. When I was a children's librarian in Toronto I took a storytelling course from a woman called Alice Kane. 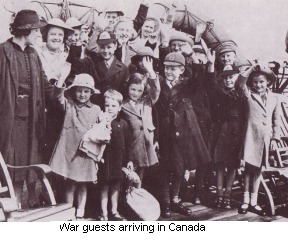 Alice told us how, during World War II, she and other children's librarians would go to Hart House to tell stories to the "war guests", children who had been sent to Canada from England to escape the war. They were waiting at Hart House to be "vetted" until they joined their new families. I suddenly got a picture in my mind of these lonely, confused children listening to Alice tell them a story, especially the story about children being sent away, "Alenoushka and her Brother". I had never heard of the war guests, but from then on I began to find out more about them. Slowly a story about Norah and Gavin was growing, and eventually, after a whole year of research in Canada and England, I turned it into a book. I put in a scene of Alice Kane telling stories, the only time I've ever put a real person into a novel. Alice, who died a few years ago, seemed thrilled!